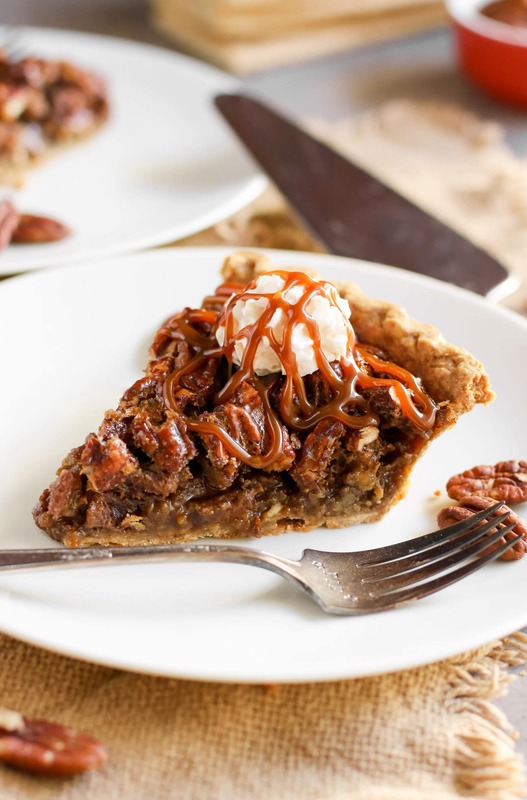 This Healthy Pecan Pie is so rich and decadent, every bite is pure joy — you’d never know it’s made without the corn syrup, white sugar, butter, and heavy cream! Time is flying by. It’s already mid/late December but it still feels like September! Here in Texas, the mornings and nights are a bit chilly but I’ve gotten away with wearing shorts and T-shirts multiple times over the last couple of weeks. I’m enjoying it while I can because in less than a week I’ll be in Wisconsin. Cold, cold, snowy Wisconsin. My boyfriend’s family lives there and they invited me over for Christmas (which is also my bf’s birthday). I think this will be my first Christmas away from my family, which makes me a little sad, but then again my family is very small (4 people) and we don’t have any traditions or anything. We don’t even eat regular Christmas food. Last year we had sushi, and I’m pretty sure the year before that we had BBQ. No matter where I’ll be though, there is always one constant: BAKING. Pecan Pie is the perfect dessert for crowds who don’t like fruitcake or jiggly gelatin desserts. I’ve wanted to healthify Pecan Pie for quite some time now but always put it off because it needed so many ingredient substitutions to healthify. Traditional Pecan Pie contains corn syrup, white sugar, butter, and heavy cream. But not this one! A whole grain pie crust instead of a white flour crust (I got this in the frozen section at Whole Foods). 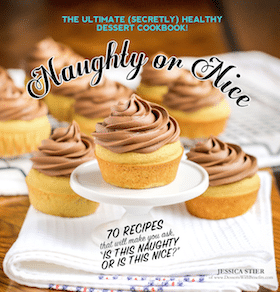 You can also make a graham cracker crust, animal cracker crust, or gingerbread cookie crust! to make it a little more nutritious I used pure maple syrup and sucanat instead of corn syrup and sugar, to make it cholesterol-free I used egg whites and coconut oil instead of whole eggs and butter. 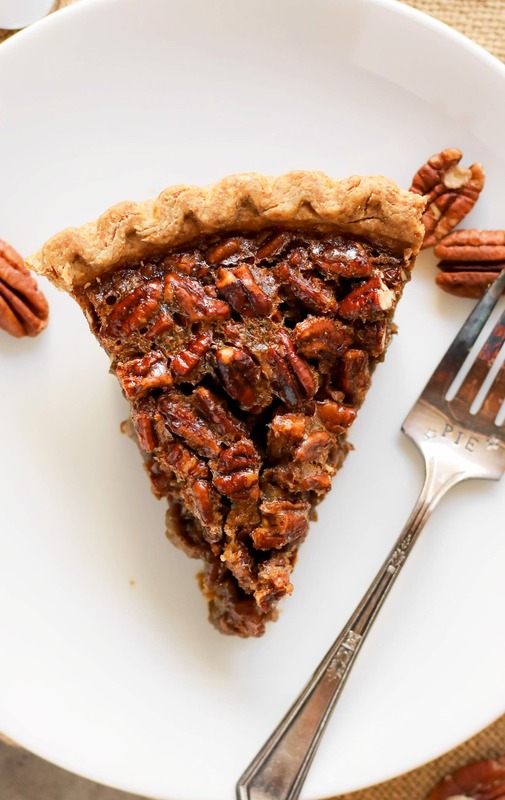 This Healthy Pecan Pie is an all natural, good-for-you dessert that is perfect for Thanksgiving, Christmas, birthdays, or any day for that matter! 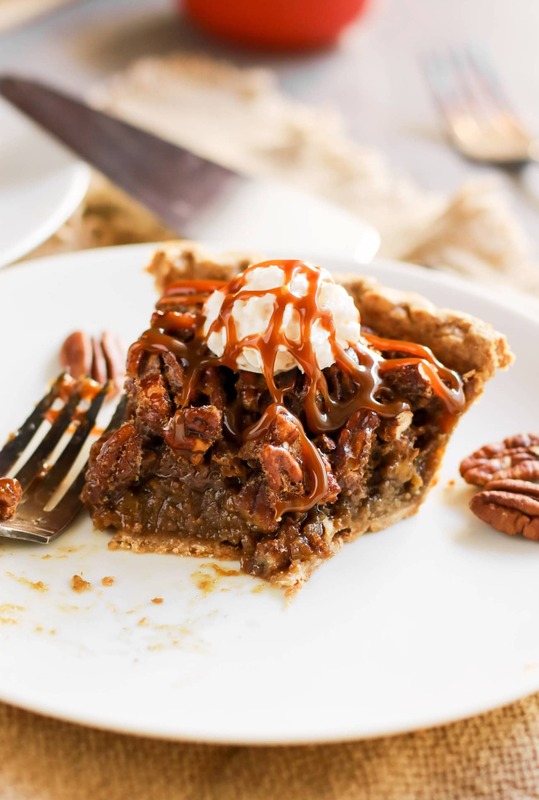 This Healthy Pecan Pie is so rich and decadent, you'd never know it's made without the corn syrup, white sugar, butter, and heavy cream! This freezer-friendly pie is an all natural, good-for-you dessert that is perfect for Thanksgiving, Christmas, birthdays, or any day for that matter! Preheat the oven to 350 degrees Fahrenheit and put the pie crust on a cookie sheet. 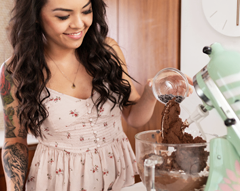 In a small bowl, whisk together the erythritol and starch. In a large bowl, whisk together the egg whites, maple syrup, molasses, and vanilla paste until smooth. Whisk in the erythritol/starch mixture. Then stir in the chopped pecans. Pour the filing into the pie crust. Bake for ~50 minutes, or until the pecans are fragrant and turn a rich brown (but NOT burnt! ), and the center of the pie doesn't sink in when you tap it. Let cool completely, then slice and serve! **I bought a frozen whole grain crust from Whole Foods. This pie freezes well too! Just wrap it very well in plastic wrap and place in the freezer. To thaw, just take it out of the freezer and leave it in the fridge for ~4 hours, then let it thaw completely at room temperature after that. I like to zap a slice in the microwave for ~20 seconds, or until it’s hot, then top it with a giant scoop of Vanilla Ice Cream. Does that sound amazing or does that sound AHHMAZING?? 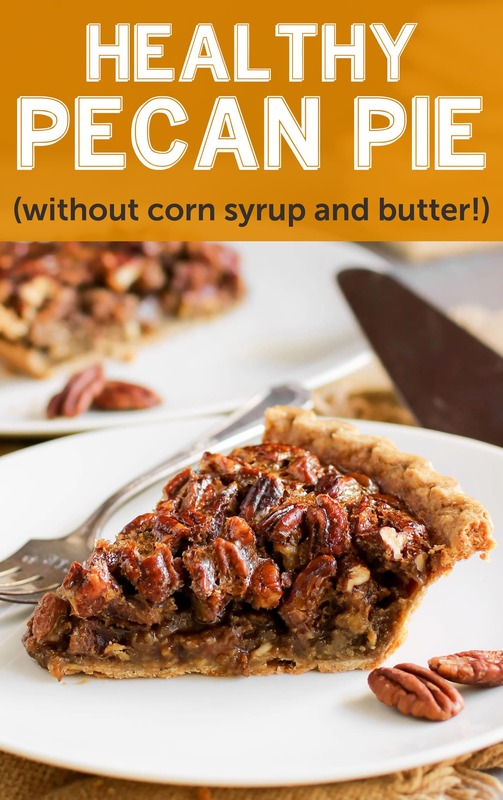 Everyone adored this Healthy Pecan Pie! This is definitely going to be on our holiday spread — I can’t wait to make it again during Christmas vacation in Wisconsin 🙂 — and hopefully yours too! Ooh I too jazzed up the usually unhealthy pecan pie to create something we wouldn’t regret. We devoured it at Thanksgiving just gone (in Canada). I don’t think a pecan pie is complete without maple syrup, so I’m pleased to see a good cupful in yours! It looks wonderful – beautiful photos. Was sad to see photos of your parents wreckage. Hope all goes well restoring it and celebrating American thanksgiving together. I didn’t see calorie information on this. 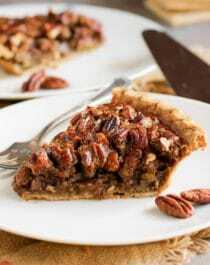 i’ve been looking for a good healthy pecan pie and this one is the best around!!!! I made this today and it’s inedibly sweet. I know pecan pies are meant to be sweet but this is too much. I wouldn’t make it again. 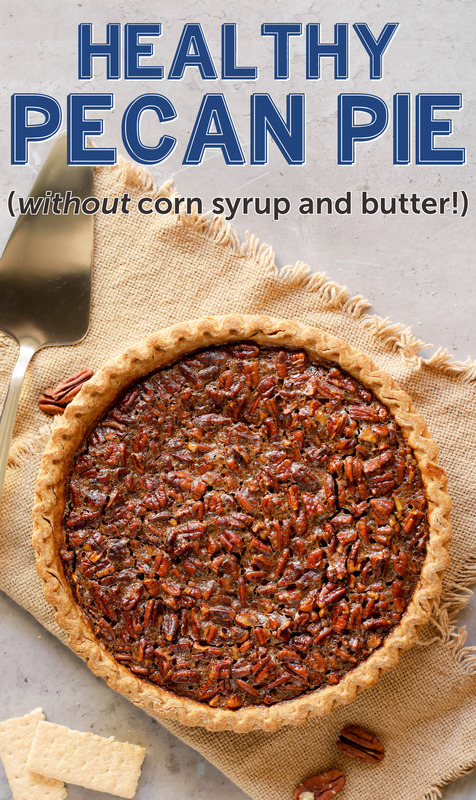 That’s strange because normal pecan pie recipes can call for ½ cup or MORE of sugar or corn syrup for a single pie, just like this one… and erythritol isn’t as sweet as sugar and maple syrup is just about as sweet as corn syrup (typical ingredients of pecan pie). 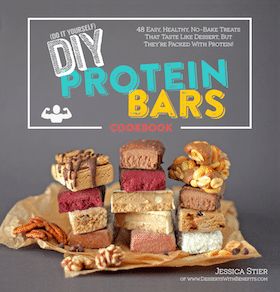 I mean, you can obviously make the recipe again using less erythritol.